When you do a self-portrait you probably reference a mirror or pictures of yourself and delicately stroke paint to canvas or sketch charcoal on some textured paper. Oh, you don’t do self-portraits? Neither do I. Not since fourth grade anyway. But what about self-sculpture? Historically, these are not as common, as means of seeing oneself in three dimensions have only recently come about through video cameras and 3D scanners. Dutch artist Caspar Berger does self-sculptures and for his recent project he went the extra mile to ensure that what he captured goes beyond skin deep. 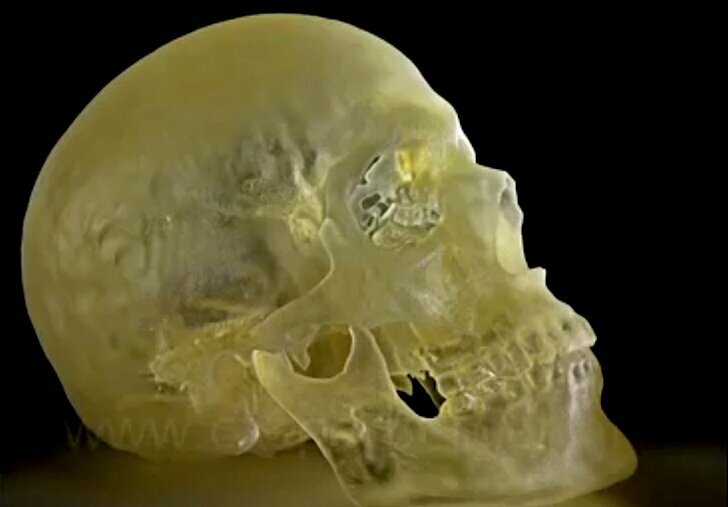 Caspar underwent a CT scan to procure an accurate digital 3D model of his skeletal structure; he took that model and printed it. The project Skeleton captures Caspar’s likeness in bony precision. You can see some of it on his Facebook page, where it appears he had one of his femur cast in gold. As is, this is an intriguing artistic endeavor, but I can’t help but hope that there will be a Skeleton 2.0 that not only captures the shape of Caspar’s bones, but also their makeup, perhaps employing a similar technique as the Protohouse. I do wonder though if he’s at all embarrassed with his ‘eternal identity’ on display for everyone to gawk at.